If your mum is left sitting by the phone waiting for that call when you go bush, you’ll need these bush safety tips to make sure you stay safe in the wild. I was an hour from the car when I lost my left boot. Having climbed out of a canyon deep in the Blue Mountains, I decided to rest on a rocky outcrop to clear the sand out of my wet shoes and take in the view. The view I took in was of my left boot sailing off the edge, which was less thrilling than the panoramic vista. Thankfully, I was able to gingerly climb down and around the cliff-face to reach my boot, which had rudely disturbed an adult brown snake. After an extended discussion, he kindly agreed to drop the matter and move on, which was fortunate. Without something so simple and essential as a left boot, something I had never given a thought to until that point, an easy hour’s hike back to the car would have become a slow hobble. It would also have meant the possibility of running out of light and having to spend a night in the bush with no gear: every hiker’s nightmare. The moral of this story is that we often fail to realise how exposed we really are if things go wrong and we’re still far from the nearest road. Here at WAE, we’re acutely aware that we’re encouraging people to get out and do activities which inherently carry certain risks. That’s not a reason not to do them; it’s a reason to understand those risks and address them responsibly. There are a couple of things everyone can and should do to make sure you get home safely. Your mum will thank you. 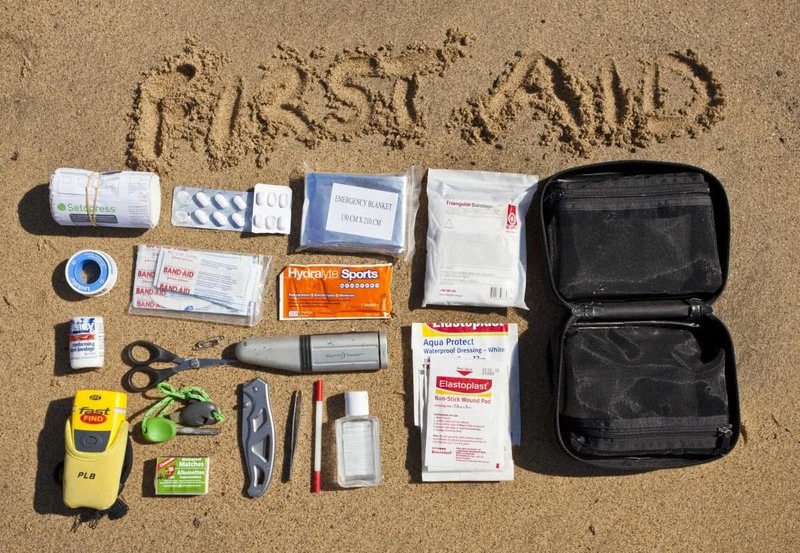 # 1 Carry a first aid kit. Always. Bush safety tip number one is always carry a first aid kit; and I mean always. Paradoxically, we’re often most at risk on short day trips. 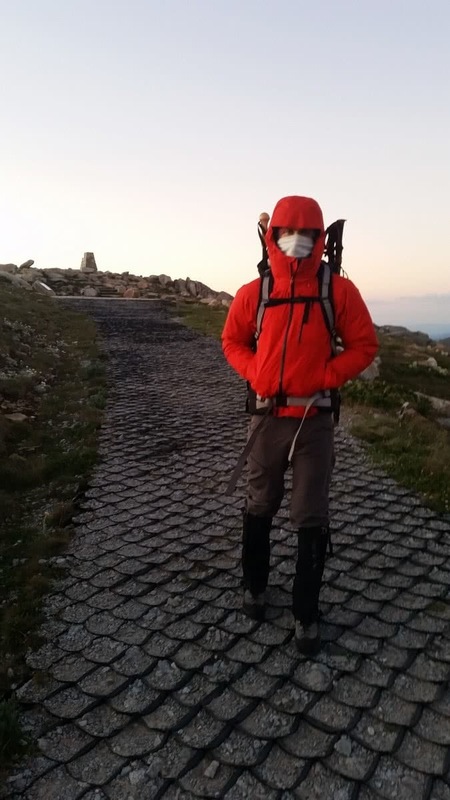 On multi-day pack hikes, I know I have everything I need to be self-sufficient (first aid supplies, extra water and food, extra layers and light). Don’t succumb to the tendency to disregard those precautions just because it’s a ‘short hike’. As the first story demonstrates, you don’t realise how far from civilisation an hours’ hike is until you get into trouble. Sprained your ankle? Minor inconvenience when you’re at home – serious incident when you’re off-track or far from help. You may as well be on Mars. A compression bandage (for snakebite) – I use a Setopress bandage, which has printed indicators that show you the right pressure to apply. Hand sanitizer – great for getting leeches to drop off, if nothing else! A method of water purification – I use a Steripen which treats water with UV light, or you can use water purification tablets. Waterproof matches and a flint – ideally carry two methods for making a fire if you need to. Just make sure you know how to light a fire with a flint before you have to rely on it! You can see that this list extends beyond medical equipment. This kit is for emergencies in the general sense of the word. All of this is kept together in a pouch slightly larger than my waterbottle. Note that this is what I choose to carry – what YOU need depends on the activity, how many people you’re catering for, the rest of your gear and your knowledge of first aid. Your first aid kit is useless if you don’t know how to use what’s in it. Knowing how and when to use a compression bandage will save your life, if you’re unlucky enough to be in a situation where you need to use it. Don’t play the numbers! Book into a first aid course, or even better, volunteer with your local emergency services unit or surf life saving club. You’ll get first aid training and a lot of other useful skills for free! Aside from doing the course, I always recommend keeping a first aid manual with you. There’s a lot to remember, particularly when you’re in the stressful situation of having to recall it quickly. You can have a hard-copy quick-reference guide that you keep with your kit, but I use an app on my phone (the Australian Red Cross First Aid app) that has everything I’d ever need to refer to. Make sure you have battery to access it! Some of the places we go have quite good reception if you can get to a ridgetop – but I’d never rely on it. Your phone may be appropriate in some circumstances but definitely not all. There are numerous options to ensure you can call for help (satellite phones, UHF radios etc), but by far the most reliable is a Personal Locator Beacon (PLB). This small unit will transmit a distress signal via satellite from wherever you are, and it is constantly monitored by emergency services. A small, waterproof unit will cost you around $250. 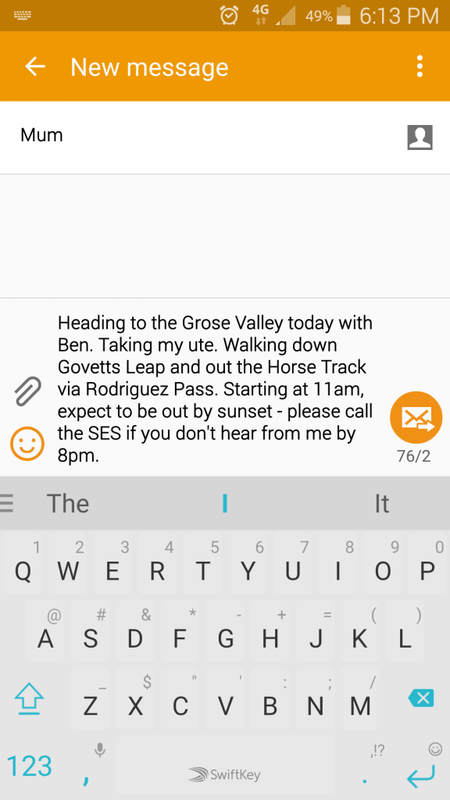 There’s no better use of your money if you’re starting to do off-track hikes and/or are doing it solo. In NSW, the National Parks Service and NSW Police loan PLB’s free of charge in popular walking areas like the Blue Mountains. Enquire before you go to make use of this great service and supercharge your bush safety level. The process is simple – if you don’t call/message them to confirm you’re safe, they notify the emergency services. Impress on them the seriousness of the task. Once you have established this role with someone you trust, it takes no time – just a quick SMS to someone who knows what to do. I actually do this with my mum. She’s always had a healthy dose of motherly concern for her only offspring, who happens to have a penchant for disappearing into the wilderness alone! Plans change, sometimes unexpectedly. 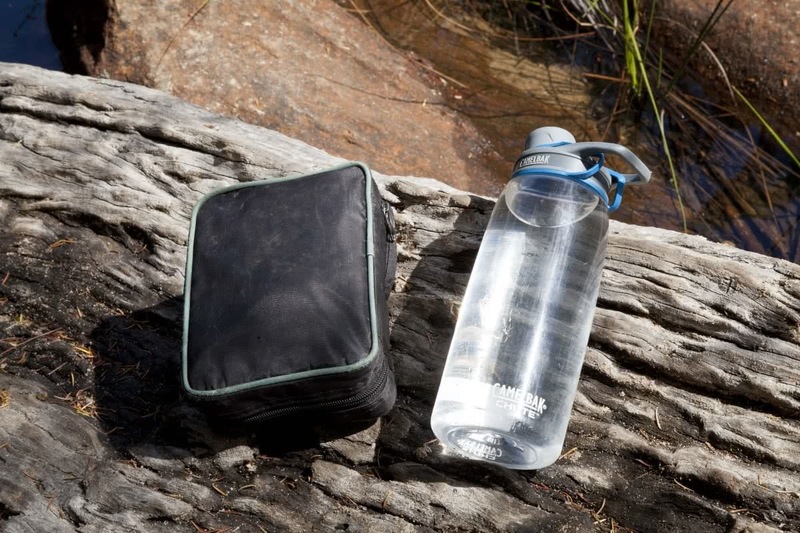 Always take more gear, water and food than you think you’ll need – in particular, warm clothing, wet weather gear, a light, navigation equipment (a map and compass), extra water and an emergency meal. The easiest way to remember all this is to have a daypack which stays packed with all the necessities – it then becomes second nature to grab this and go, knowing that everything you need will be on-hand. This may seem like overkill, but Murphy’s Law dictates that you will be caught by the unexpected at some point (and it will probably happen more often than you think). I’ve been caught out by cold weather, had to hike back in the dark, and needed to change routes off the signposted tracks – none pleasant but all manageable if you’re carrying the right gear. Don’t be that person found by Emergency Services with nothing but an empty lunchbox! Your safety in the bush depends on you packing for every possible scenario. All of this may sound daunting, but it quickly becomes second-nature and is no burden at all. More significantly, by taking all these bush safety precautions you can be safe in the knowledge that you have prepared for any eventuality when you’re out there. That means you spend less time worrying about what could go wrong and more time focusing on why you’re there in the first place. Get out and enjoy it – then come back safe and tell us all about it!